We need to know your dog(s) as well as you do! Please answer the following questions so that we have a better understanding on the behavior of your dog. Please provide references for your dog. This person should be familiar with your dogs behavior around stranger(s) and other animals. 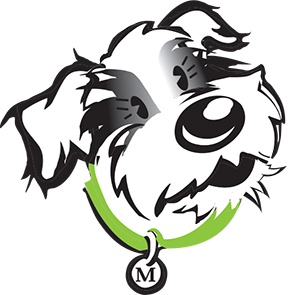 Please include any current Woofers’ clients who have referred you to us! 1) Owner certifies the accuracy of all information conveyed about the owner’s pet(s) to Woofers . 2) Owner authorizes the Facility to obtain medical and vaccination records for the pet(s) listed above from the veterinarian listed above. Owner further authorizes said veterinarian to provide these records to the Facility. 3) Owner agrees not to bring pet(s) to Facility if pet(s) exhibit any signs of illness that may be harmful to the other pets in attendance, such as: vomiting, diarrhea, coughing, extreme lethargy, etc. without first obtaining approval from the Facility. 4) Facility shall exercise reasonable care for owner’s pet(s) while it/they is/are in the Facility’s custody. The owner recognizes the potential risks (such as illness and/or injury) involved with pet daycare, boarding and grooming. The Facility does not allow any aggressive pets for boarding, daycare or grooming. 5) Facility may change the level or type of daycare/boarding or possibly remove the pet(s) from group play, if Facility believes it necessary to ensure the safety of the owner’s pet(s), other pets or its employees. Dogs must be in attendance within any 30 day period in order to ensure the ability to attend daycare. 6) Owner represents to the Facility that owner is over 18 years of age; that all information provided about the owner is accurate; and that all credit card information provided is accurate. 7) Owner agrees to the Policies and Procedures posted in the Facility’s lobby and on its website on check-in date. The Facility reserves the right to adjust said Policies and Procedures without prior notice. 8) Owner gives the Facility consent to act in the owner’s behalf to obtain veterinarian services if owner’s pet(s) become(s) ill or require(s) the attention of a veterinarian. The owner agrees that the Facility, in its sole discretion, may engage veterinarian services, administer medicine, or give other requisite attention to the pet(s); that all expenses incurred shall be paid by the owner; and agrees to indemnify and hold the Facility and its employees harmless from said expenses. 9) Owner agrees to pay all charges incurred for: special services requested veterinary costs as stated above, and failure to comply with the Facility’s Cancellation Policy. 10) Facility shall have the right to refuse to release owner’s pet(s) until owner has paid all charges due to the Facility. The Facility is hereby granted a lien on the owner’s pet(s) for any and all unpaid charges resulting from boarding, day care or any other service provided by the Facility. 11) Owner assumes any and all liability and expenses for injuries inflict upon any human or other pet(s) by owners pet(s) while in the Facility. Owner agrees to indemnify and hold the Facility and its employees harmless from any and all liability and expenses incurred as a result of said injuries. 12) Facility has the right to take photographs and/or videos of owner’s pet(s) while in the Facility’s care. The Facility may post or reproduce any and all photographs/videos taken (as well as pet(s) name) on or in, without limitation, the Facility’s website, social media sites or promotional materials without becoming liable to the owner (or the owner’s pet(s)) for any royalty payment. Owner hereby releases, covenants not to sue, and forever discharges the facility of and from any and all claims, demands, rights, and causes of action of whatever kind or nature. Further, owner agrees that no photography or video may be taken by the owner while in the Facility without approval from Facility’s Corporate Offices. 13) Owner agrees that the Facility’s liability shall not exceed the current chattel value of a pet of the same species delivered to the Facility. 14) This Agreement contains the entire agreement between the parties and shall be binding on the heirs, administrators, personal representatives and assigns of the owner and the Facility. Any action by owner which is in breach of the terms and conditions of this Agreement. 16) Any controversy or claim relating to this Agreement shall be settled by arbitration in accordance with the rules of the American Arbitration Association. Judgment upon the award rendered by an arbitrator may be entered in any court having jurisdiction thereof. The arbitrator shall, as part of his/her award, determine an award to the prevailing party of the costs of such arbitration and reasonable attorney’s fees of the prevailing party. 17) This is an Agreement between Woofers and/or Moxie Dog, L.L.C. (referred to as “Facility”) and the pet(s) owner whose signature appears below (referred to as “owner”). © 2019 Woofers Pet Stuff All rights reserved. Site Design by GoodDog Marketing.